Improve your basketball skills and be part of a team! 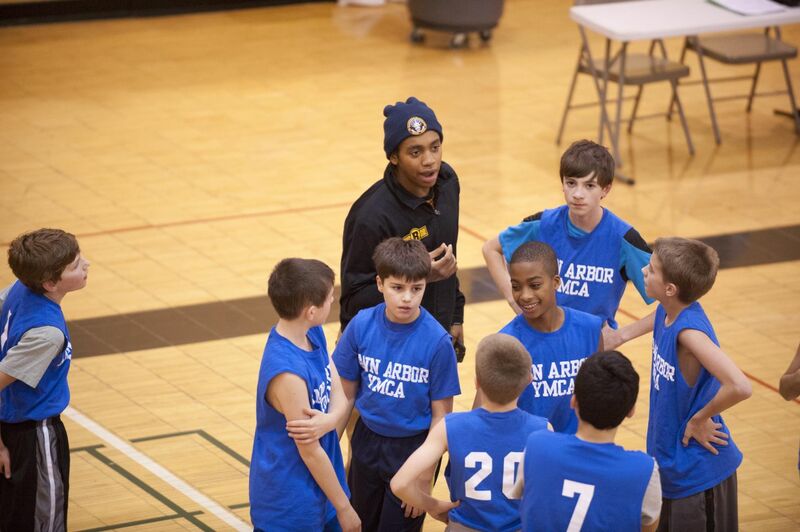 YMCA Middle School Basketball League means fun, fair play, good sportsmanship and respect for all and is available to boys and girls in grades 6-8 who want to further develop skills, and play more competitively. Players will participate in strength conditioning and plyometric exercises, as well as basketball work outs where players will fine tune fundamentals and learn advanced basketball techniques and offenses. Working with YMCA coaches, participants will take part in 30 minutes of strength and agility training each week in addition to a 60 minute basketball practice, and a competitive 40-minute game. Equal playing time is not guaranteed, but all participants will play a minimum of 1/3 of each game.